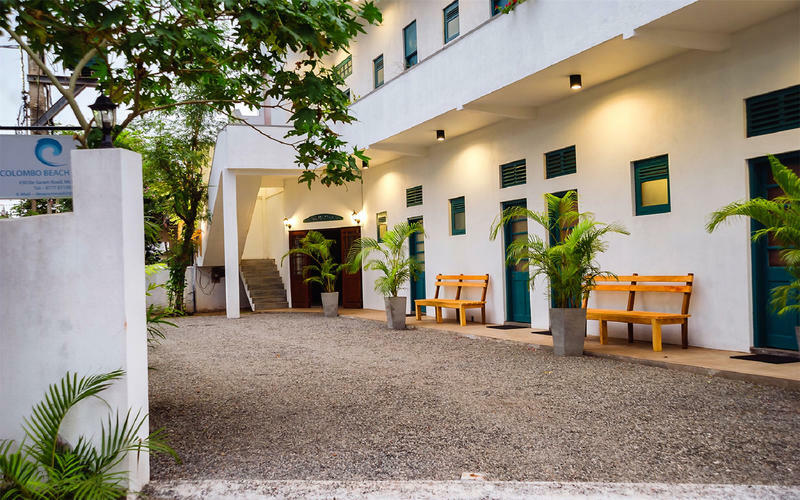 Colombo Beach Hostel is approx 10km from the city centre, and is located within a 5 mins walk from the Main road. The closet Railway Station (Mount Lavinia) is approx 500mtrs from our place. CBH is on De Saram Road, which offers you peace and tranquility, and is ideal spot to relax in after a busy day. We have 2 rooms with attached toilets, each consisting of 2 beds, also we have 2 rooms with attached toilets with Double beds. Our facility has a common room, for preparation of food etc. Also we have an a great Roof top garden for you to relax. All rooms have a seprate entrance to the main garden area, so you do not have to go through a reception whenever you come. Our Friendly staff will always be there to help you out and advice you on any of your queries. From Colombo, come on Galle Rd towards Mt Lavinia, and turn on to (right ) Hotel Road at Hotel Road Junction (near Lion Pub & Odel - which leads to Mt Lavinia Hotel). The Second Road to Your right is Barnes Avenue, 5 mins down, you fall on to De Saram Road, right opposite the junction CBH is located at #30. We can arrange an airport pickup for approx. US $ 32/-. (Please note price I'd subject to change. So please contact and confirm). We would need flight details , date etc . Please get a pickup confirmation prior to arrival , if so needed.